Also immediately contact your physician if you experience severe or chronic abdominal pain during pregnancy. The onset of pain: Your physician will want to know how the pain began. Did it begin suddenly? For example, the pain associated with biliary colic (i.e. a gallstone obstructing the cystic duct) typically begins suddenly as a result of this occurrence. Where the pain is located: As noted, the location of the pain can provide assistance with targeting a cause for the pain. For example, appendicitis usually results in pain experienced in the middle of the belly and toward the right (the location of the appendix). The pattern of the pain: Your physician will also want to know if the pain has followed any sort of predictable pattern. For instance, is the pain experienced in waves or does it come on only after you’ve eaten something? It is also expected that the pattern of pain will change over time, and your physician will need that information as well. The duration of the pain: How long the pain lasts is an important consideration. Does the pain come and go over the course of years, such as that of irritable bowel syndrome? Does the pain occur everyday while you are on the highway on your way to work, but then disappear completely while you are at home? Factors that affect the pain: Your physician will want to know what you’ve attempted to remedy the pain and the effectiveness of each strategy. He or she will also want to know if there is any thing that makes your pain worse, such as lying down or eating cheese. 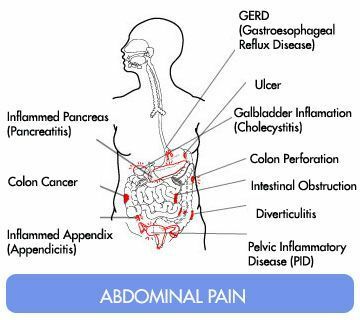 There are many treatments available to address the symptoms of abdominal pain; however, they are largely determined by the source of the pain. For pain that is not severe or debilitating, conservative, at-home treatments are recommended as a first-line treatment. These recommendations include drinking clear fluids or water, avoiding solid foods or other foods that may upset the stomach (such as overly greasy, spicy, acidic, or high fat content foods), and taking an over-the-counter (OTC) pain reducer. 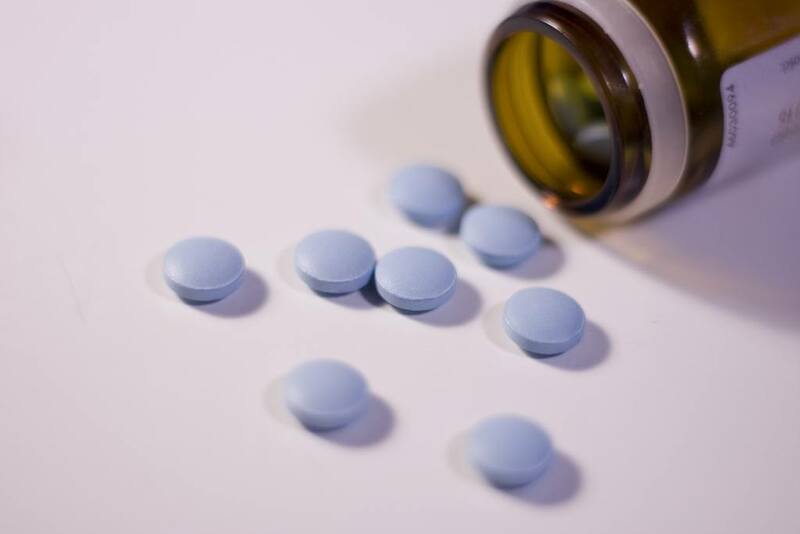 It is important to consider the location of the pain, however, when deciding to take an OTC pain reliever, so check with your doctor before taking aspirin, ibuprofen, or other anti-inflammatory medications. Acetaminophen (Tylenol) should only be considered if you are certain that the pain is not a result of a condition affecting your liver. Individuals may also be treated with antibiotics, should the pain be associated with an infection, or they may be instructed to make changes to their diet or the drinks that they consume. Finally, for many of the more severe cases of belly pain owing to an underlying serious condition, surgery may be the only treatment option available. For chronic abdominal pain, a non-surgical nerve block procedure is recommended to provide patients with significant, and often complete, relief from visceral pain located in the abdomen. Located behind the stomach, the celiac plexus is a bundle of nerves whose job is to transfer pain information from the abdomen to the spinal cord and brain. The celiac plexus block is a non-surgical procedure to anaesthetize the celiac plexus nerve bundle, thereby preventing the transmission of pain information to the brain. Abdominal pain is a pain experienced in the abdomen, or between the chest and the pelvis. This type of pain has a very wide range of differing symptoms and therefore can have any of a very wide range of causes, making diagnosis somewhat difficult. The underlying conditions associated with abdominal pain span from non-serious, such as excess gas, to serious ones requiring immediate care, such as appendicitis. A number of treatment options are available and are determined based on the specific characteristics of the pain episode and diagnosis. It is recommended that you speak with your physician to develop an appropriate course of treatment. At Nevada Pain our goal is to relieve your abdominal pain and improve function to increase your quality of life. Allegri M, Clark MR, De Andres J, Jensen TS. Acute and chronic pain: Where we are and where we have to go. Minerva Anestesiol. 2012;78(2):222-35. Anastasi JK, Capili B, Chang M. Managing irritable bowel syndrome. Am J Nurs. 2013;113(7):42-52. Krawjewski S, Brown J, Phang PT, Raval M, Brown CJ. Impact of computed tomography of the abdomen on clinical outcomes in patients with acute right lower quadrant pain: A meta-analysis. Can J Surg. 2011;54(1):43-53. National Institutes of Health: WebMD. 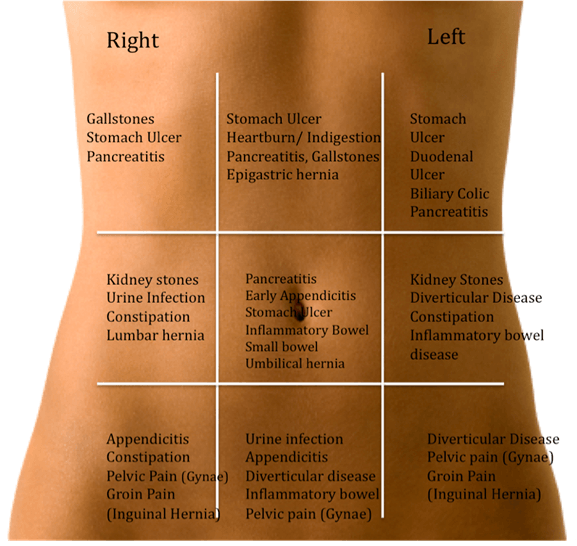 Pain management health center: Abdominal pain. 2013. Accessed from: http://www.webmd.com/pain-management/guide/abdominal-pain-causes-treatments. Shah S. An update on common gastrointestinal emergencies. Emerg Med Clin North Am. 2013;31(3):775-93. Sule AZ, Ajibade A. Adult large bowel obstruction: A review of clinical experience. Ann Afr Med. 2011;10(1):45-50. Taylor, MR, Lalani N. Adult small bowl obstruction. Acad Emerg Med. 2013;20(6):528-44.